sambauers — MT would love the files if you still have them around. I think he emailed about it but maybe it got lost. @Chris – That was with me, and yes, it was over email. I had suggested this as a new design, but that fell short because of those rumors. Nevertheless, I think the colours are somewhat in tact, though the layout would need to be different. 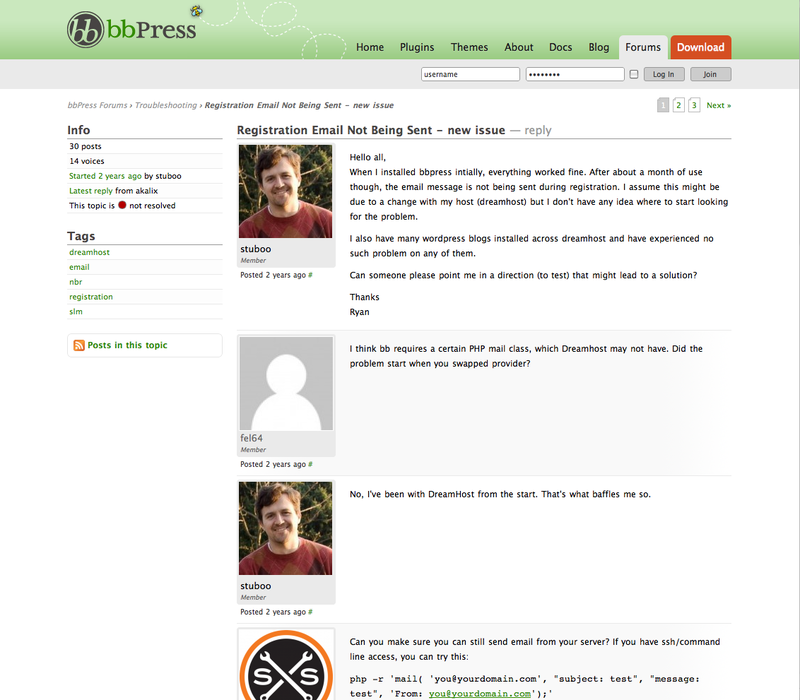 In one of the first meetups there was some brief talk about designing a better features section for bbpress.org (https://bbpress.org/about/features/); that is just a simple working mockup of that. That looks awesome, but please make the “Add New” button more prominent in future releases. Most of my new users can’t figure out how to make a post because it’s such a small text button. matt, I’ve sent those files on to MT. The bbPress theme was actually pretty close to complete. This is great news! Way to go Sam! @Shagalaga – That has already been mentioned in this post. @Sam – Nice to see you’re still checking bbPress updates. Fantastic new theme, hope to see it soon. Though, I’m sure that it would be released anyway in some way shape or form, that is, if there are any planned updates with the bbPress software. Would you be able to release the CSS file at least, if any of us do want to make a clone version? @josh16 – You may find that the theme will be released uner GPL after the launch – though there is no guarantee. I read everyday the post (negative thoughs) about the future of bbPress. But I don’t understand the motivation behind these posts. 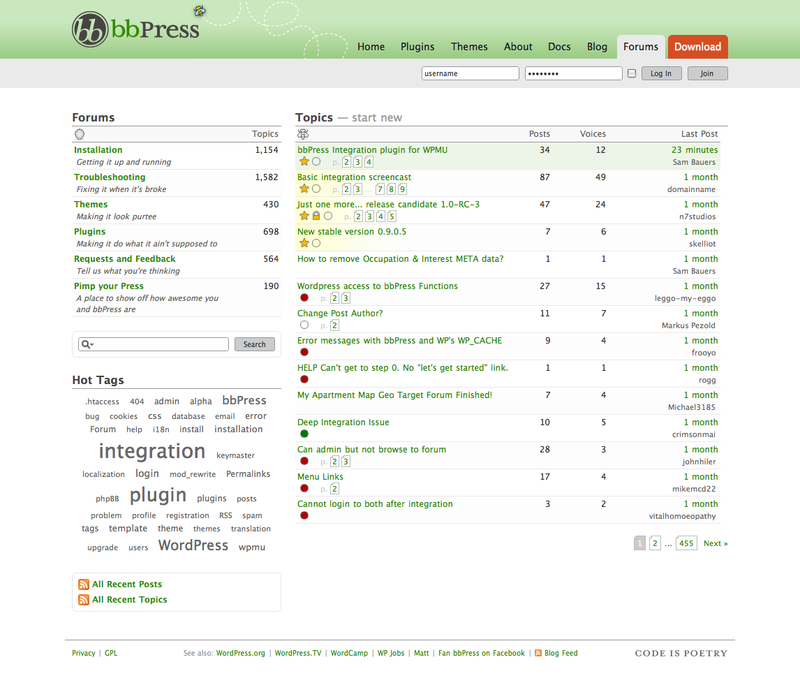 We are the community – users of bbPress, WebWorkers, Developers, etc. I think it is possible to get more drive to the bbPress Project when we work together. We can make an Poll about an possible new face of bbpress.org!? Dang, are you back @_cK_ We are so glad!